The Mauger Estate Bed and Breakfast in Albuquerque is an historic, 1897 Queen Anne style building, with high ceilings and beautiful woodwork to offer you an old-world experience. 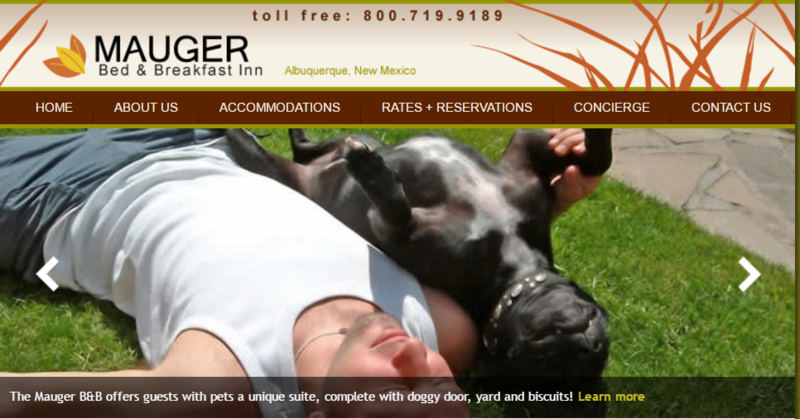 They provide superior hospitality and delectable menus to ensure that their B&B is the best place to stay in Albuquerque. WSI has completed on-page optimization for the web site and it already ranks on the first page on Google for the most important keywords. To further improve rankings we will start an off-page strategy that will include customer reviews, extensive blog posting, and social media citation building. We have created blog accounts at Blogger, Tumblr, Blog, Weebly and WordPress. Postings will also be done on the Local Google+ pages. Also citation building with high quality directories and social media will be part of the plan. WSI will be analyzing the progress made on the key performance indicators of the implementation. Monthly reporting will be conducted with the business owner keep her informed of the progress we are making.